Your exact product presented differently can be the difference between a $10,000 campaign and a $200,000+ campaign. What does this mean for your campaign? Don’t cut corners on your video and page design! We’ve seen this time and time again where a campaign has a really great product idea, yet the video and/or page design stifles any excitement or interest that could have been created for the campaign. Sometimes you can’t even tell if a product or idea is great or not because the message is unclear. 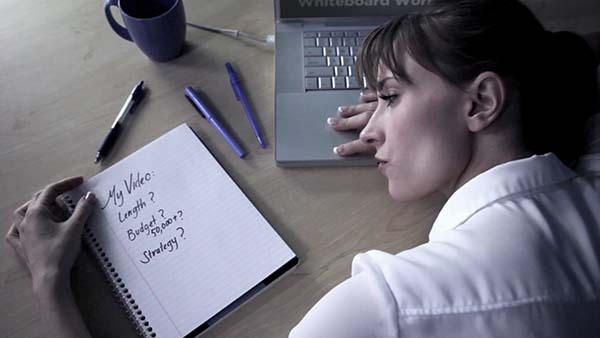 Most of the time this occurs when the presentation creation process is rushed. Campaign creators don’t usually know the right formula and techniques needed to achieve the desired results, and they don’t always take the time to make sure they get the presentation right. Don’t let this be you! Ask for Kickstarter video help where you need it. At the very least, you should be consulting with crowdfunding presentation experts when producing a video and page design for your campaign. Why? Besides not having a compelling product to start with, a poorly made video is the number one reason a campaign will fail. Even though DIY (do it yourself) is a common trend these days, it is not often the best route to take with such an important task as your video and page design. In fact, many businesses profit from fixing the mistakes made from DIY projects gone wrong. Funded Today is one such business that would rather help our clients do it right the first time, rather than profit from their mistakes. Undoubtedly, it’s better if you can hire a Kickstarter video production team to handle the video and page design from start to finish. We understand that sometimes the budget just isn’t there, so consulting is still an option you have that is not as big of an investment and can have a really big impact on your campaign. You can gain a lot of valuable feedback and advice from an expert opinion, and unbiased eyes. Has your campaign ended, or close to ending without funding? Are you pretty confident in your product? A video and page redesign could be exactly what you need to have a successful relaunch. Shotbox is one of my favorite examples of a failed campaign that rose triumphantly from the ashes. When Shotbox came to Funded Today in the Fall of 2016, they had only raised a bit over $8,000 and weren't going to hit their goal of $15,000. Our usual promotional strategies weren't working either.Our co-founder, Thomas Alvord, noticed that their Kickstarter video and page design were not effectively selling the product. Funded Today’s creative team edited both the video and page design and then handed the project over to Funded Today’s marketing wizards. 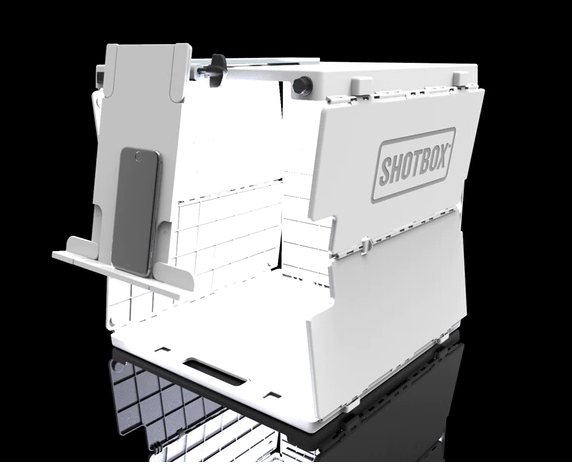 That deceptively simple fix resulted in $184,791 raised for Shotbox 2.0! Since then, we have helped them to raise an additional $40,912 on Indiegogo InDemand. Funded Today’s Kickstarter video help with redesign resulted in over $225,000 that Shotbox 2.0 wouldn’t have gotten otherwise! Before you find yourself too defeated to attempt a relaunch, take a good hard look at your video and page design and decide if a redesign could be the key to success for you. At the very least, you can always consult with one of our client specialists to see if we think a redesign could be a smart move for you. Obviously, this is the most desirable route. If money wasn’t a factor, there would be hardly any campaign creators that would resist hiring a Kickstarter video production company. Not many entrepreneurs are already equipped with the equipment and know-how necessary to create a compelling video and page design, so it saves a lot of time and effort just to hire the experts. Not only should you seek for Kickstarter video help from great video producers, you should also be looking for a team that understands crowdfunding. Why? A TV commercial is a different video breed than a YouTube commercial. A YouTube commercial is going to be different than a Movie Trailer. Your friends may be amazing at putting together home videos, yet they are most likely not experienced in the crowdfunding video world? The important fact to grasp here is that different platforms are going to have video creators that specialize in their own niche, so it’s best if you can find a production team that specializes in crowdfunding. Funded Today has an advantage over other crowdfunding video production companies because the initial focus of this company was to refine revolutionary marketing strategies. Because we have successfully become the world’s most successful crowdfunding marketing agency, Funded Today has likely studied and helped more campaigns than any other company. We know the in’s and out’s of crowdfunding and have tirelessly studied buyer psychology that makes small campaigns huge, and huge campaigns massive. Now Funded Today has expanded to include a creative team. Each member of this team is a master of his/her craft, and can add valuable insight from the expertise Funded Today has already achieved. Instead of going here to get help with your video, and there to get help with your marketing, you can get the complete platinum package of Kickstarter video help AND your marketing all from Funded Today. The rest of Funded Today promotes our content. Our creative team has been able to crack the code for what makes an effective campaign video, and the good news is, it doesn't have to cost you $50,000+ to get there. Our prices are very reasonable based on how much we could possibly raise you with funded today. Page design is tricky because it's less about creating a great looking design and more about crafting a compelling sales pitch. We can do both! The better your video, the better your presentation, the more we will all succeed together. Fill out this online form to get in touch with one of our client specialists today.